Elaine is a lovely lady who came to see me on recommendation. 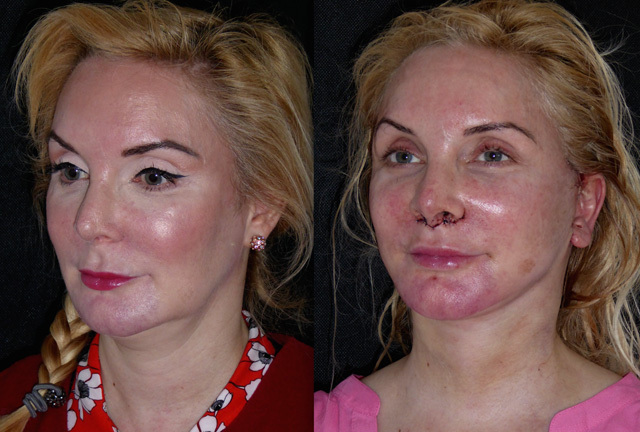 Whilst not needing facial rejuvenation, Elaine’s occupation as a performer sets the bar high so she was looking for beautification and improved facial proportion. 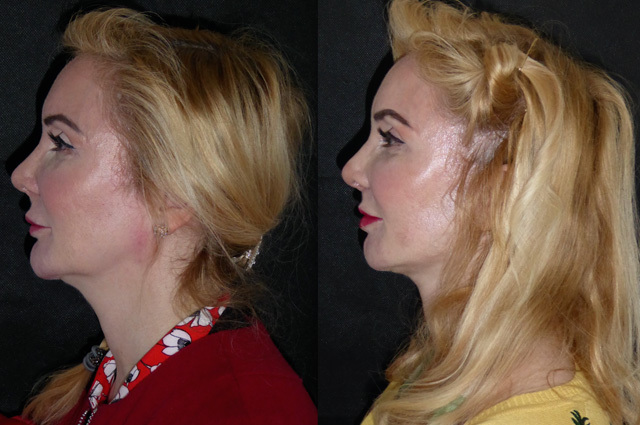 She had noticed a loosening of her jowl and obscuring of her neckline in the past few years and we discussed how to make her features more proportionate. 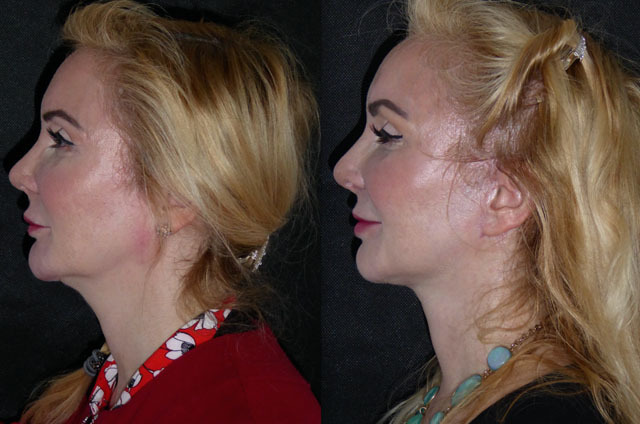 With great bone structure and an immaculate upper third, we focused on work to her lower facial third. 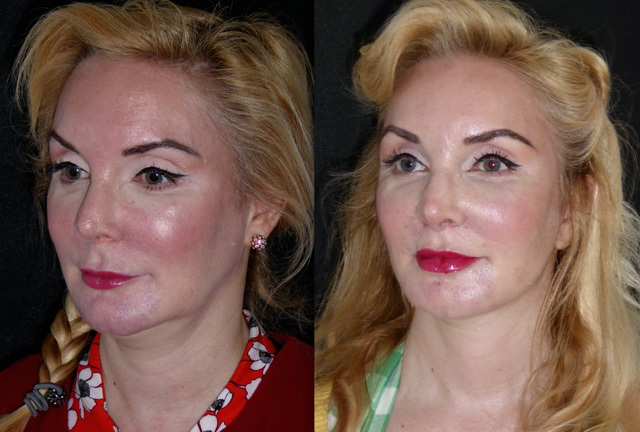 She underwent face and neck lift, submental liposuction and a bullhorn lip lift. 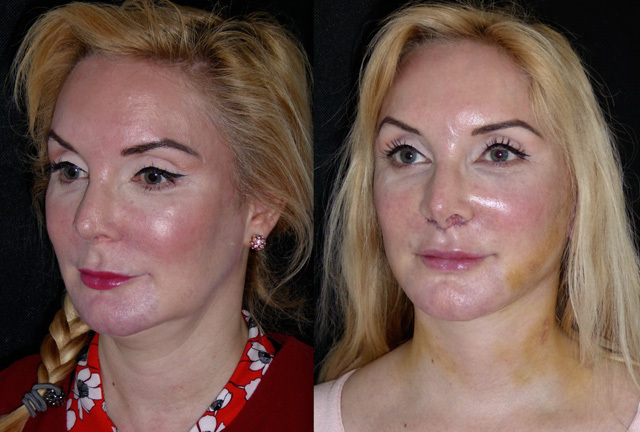 Elaine’s surgery went brilliantly. 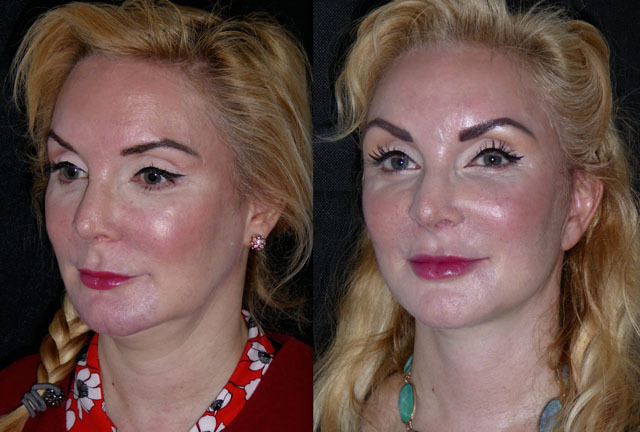 Her jaw and neck lines are restored, liposuction has given her a more defined neck chin angle and the lip lift has shortened her upper lip making her whole lower third more proportionate. 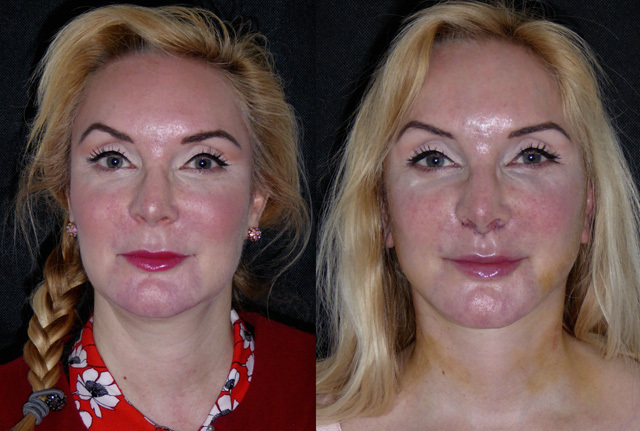 The bullorn lip lift is so named as the upper skin incision tucks inside the nostrils helping it to heal inconspicuously. A week after surgery Elaine is looking great. 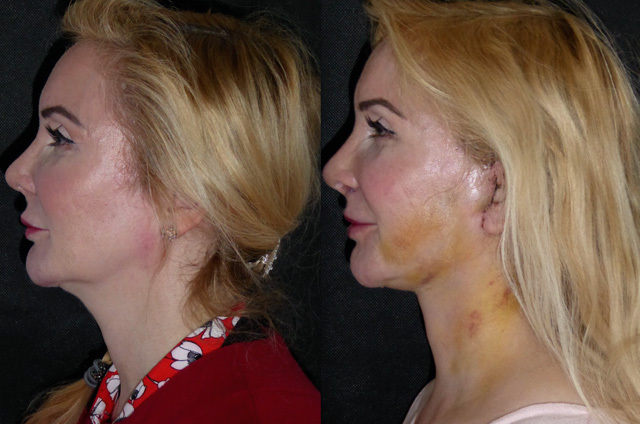 Lovely proportion, a few bruises and her incisions are healing brilliantly. 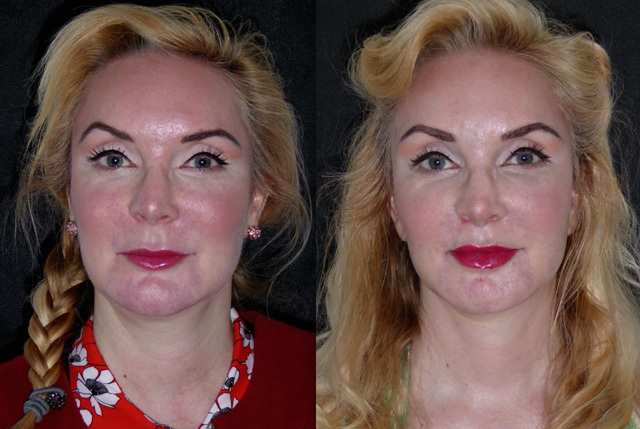 Of all her procedures the lip lift has made a huge difference to her frontal view - her whole face looks shorter and more petite. At just 5 weeks following her surgery Elaine comes back to see me looking fantastic. 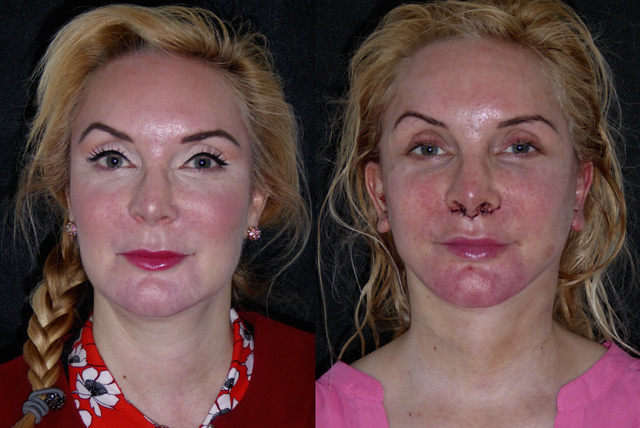 Scars almost invisible, neck and jawlines exact and lip lift healing beautifully. Refreshed, proportionate and looking like herself, just better! At 4 months out Elaine is beautifully healed and looking brilliant. 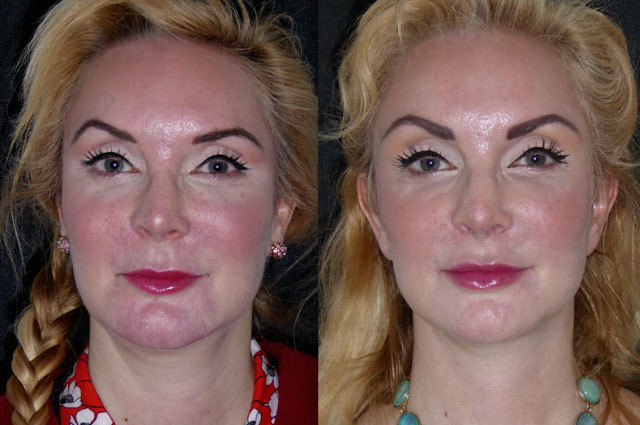 The lip lift has really reduced the apparent size of her lower facial third on frontal view and with renewal of her jawline her face is petite and proportionate. 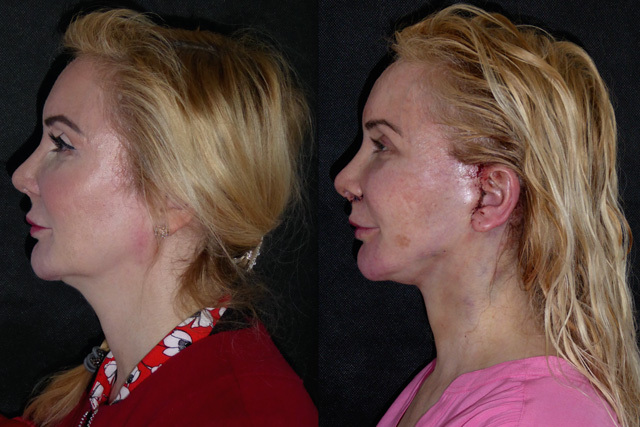 Patients are always interested in how scarring looks after surgery. 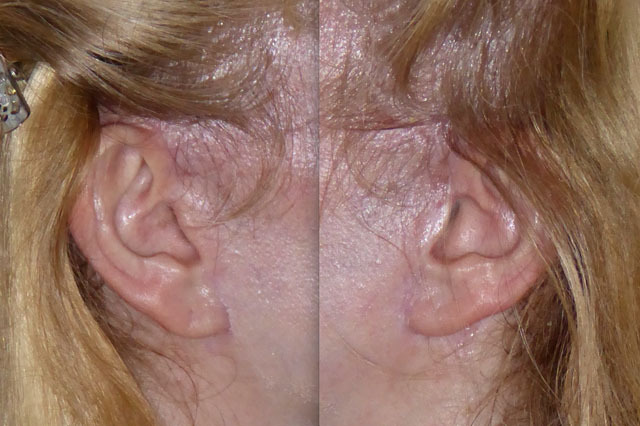 Here are Elaine’s scars at 4 months.